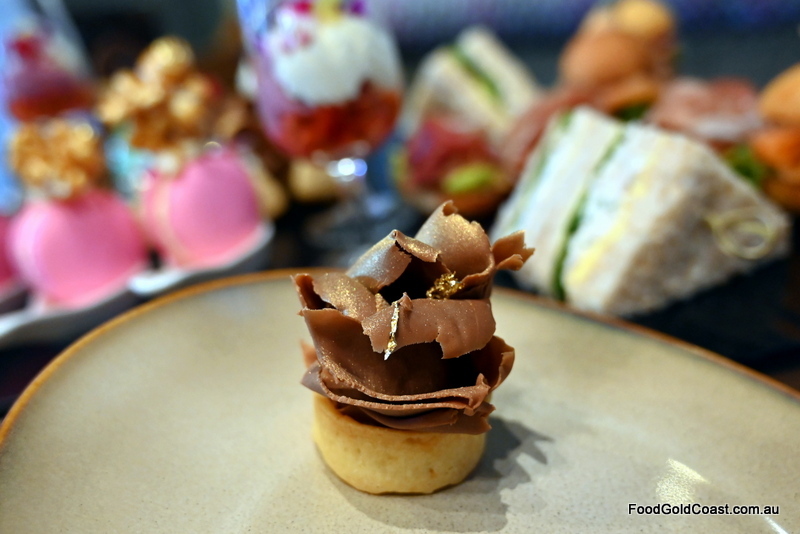 The new voco Gold Coast is a chic place to indulge in High Tea. 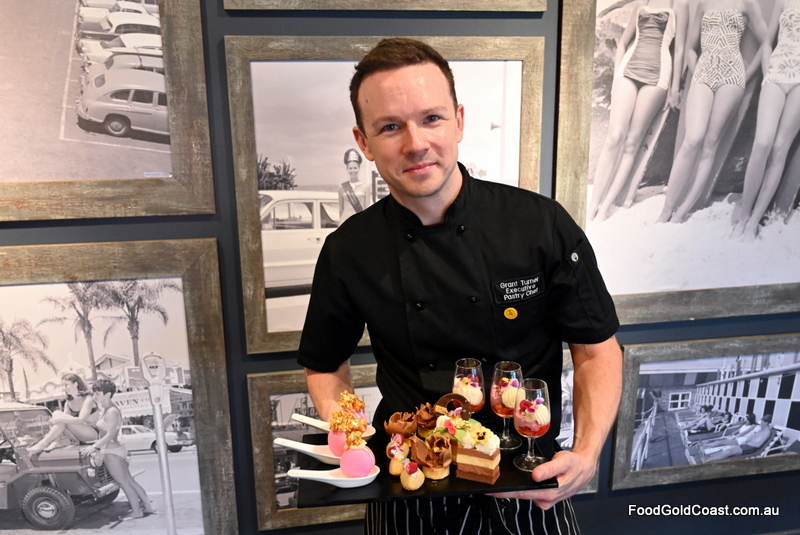 With voco stepping out as a new entity under the IHG banner, it’s fitting that High Tea is served in the voco’s Social House lounge surrounded by photos of past Gold Coast identities. High tea is a centuries-old tradition that’s found a new identity in 21st century life. 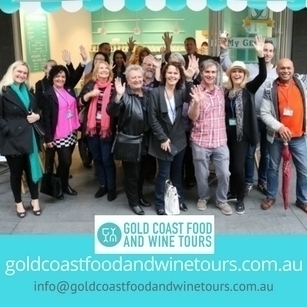 Begun in the 1700s as a luxurious treat for the privileged classes, it has been claimed by Australian women as a great way to spend an afternoon celebrating a birthday, baby shower or afternoon tea. No excuse needed! Snubbing traditional towers, voco’s High Tea is laid out on platters and plates laid out across fossilised wood tables as a feast for the senses. From past to present we span the ages of high tea across Europe with house-made brioche sliders filled with smoked salmon, avocado and prosciutto-topped crostini, and dainty chicken and rocket wholemeal sandwiches on the savoury platter. 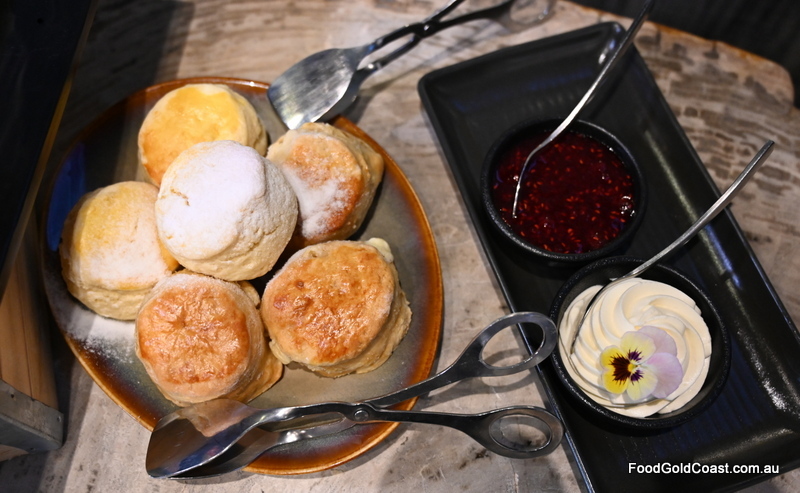 Traditional scones, introduced when the working class took up the habit of enjoying afternoon tea in the 19th century, are served in two varieties: ‘classic’ buttermilk and treacle and white chocolate scones, served with house-made raspberry jam and fresh clotted cream. The stars of the feast, however, are Executive Pastry Chef Grant Turner’s exquisite but not-too-sweet desserts: handmade lolly-pink French macarons topped with hats of caramel popcorn, exquisite Belgian Gianduja chocolate curl tarts garnished with gold leaf, classic hazelnut and almond financiers, two roulades of rhubarb, granny smith apple and custard, and Earl Grey with milk chocolate and orange, sitting beside glasses of strawberries macerated with strawberry liqueur, accompanied by blackberry bavarois and fresh cream. Such decadence! 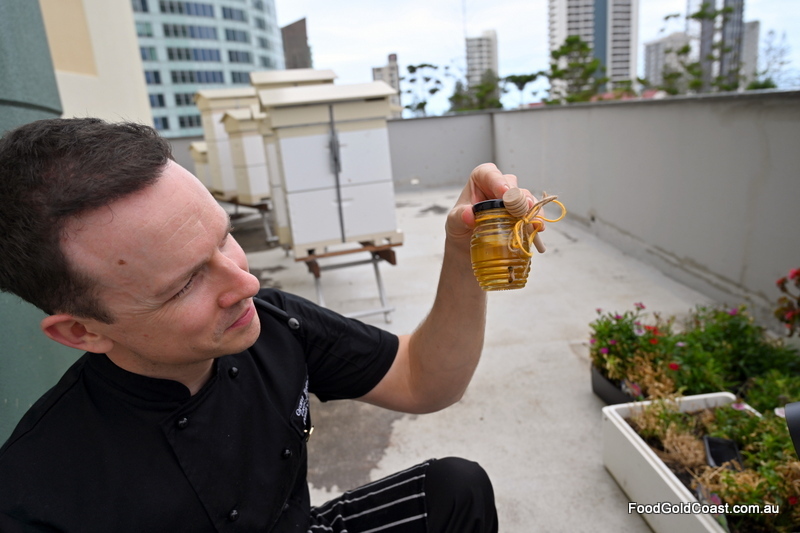 From time to time the menu changes to feature honey harvested from the hotel’s own rooftop hives – a little honey panna cotta to mirror the dessert menu, house-made hokey pokey crumble or honey-laced shortbread, a welcome gift from the hotel. Served with coffee or tea, you can pair the High Tea experience with a glass of sparkling wine or champagne for an additional price. 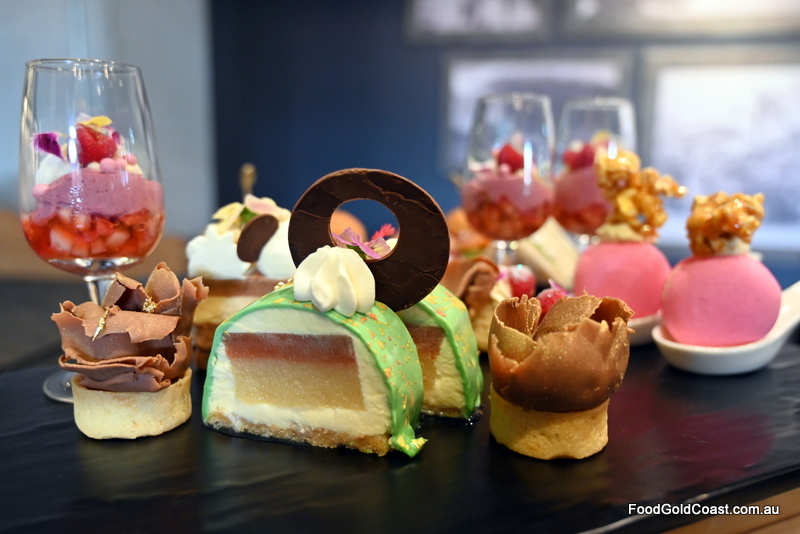 With a nod to tradition, voco’s High Tea is both contemporary and delicious. 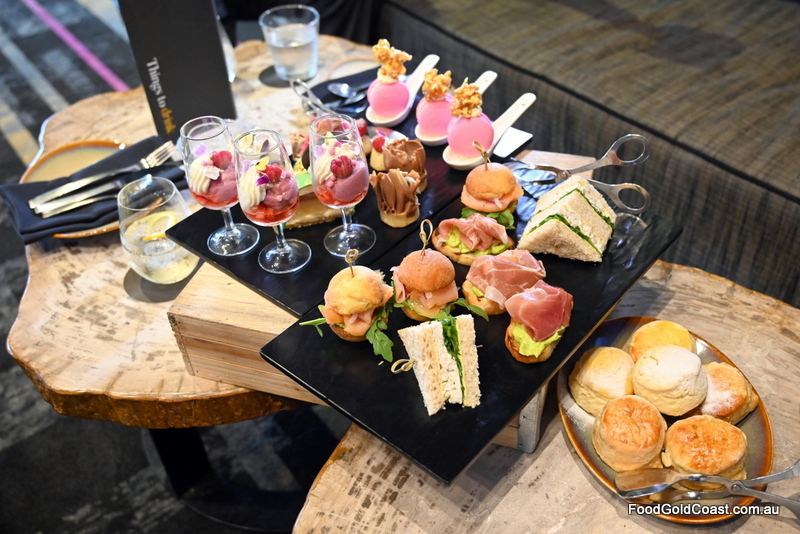 Elegantly casual enough to push stuffiness out the door, their High Tea is a great representation of ‘voco life’ – bringing together friends, whether there is an occasion or not. Make a date with your friends, sisters or mum and enjoy the experience of High Tea at voco; eating, drinking and conversation shared with the best of friends. 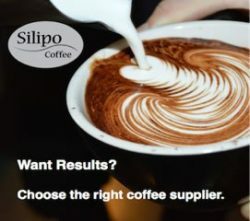 Cost of High tea $35; Sparkling high tea $43; Indulgent high tea $54. 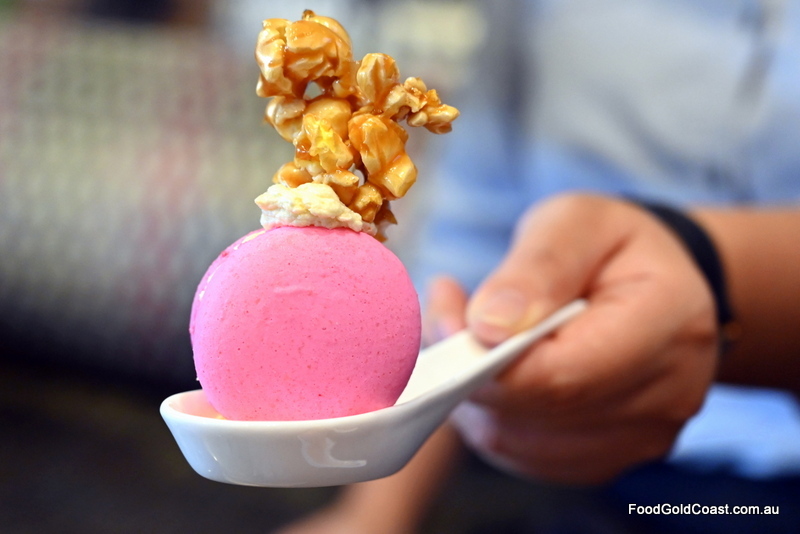 NOTE: Good Food Gold Coast dined as a guest of voco. High tea is available from 11am – 4pm daily.